Our standards are high! Gold standards high. We want nothing but the best for our customers. As an interior plantscaping company that has spanned a successful 35 years, we know what it takes to be the best of the best. We teamed up with Pinnacle V, an international peer group of interior plantscaping companies, to take the industry to new heights by combining our experiences and ideas. To lay the foundation, our group formed a declaration. 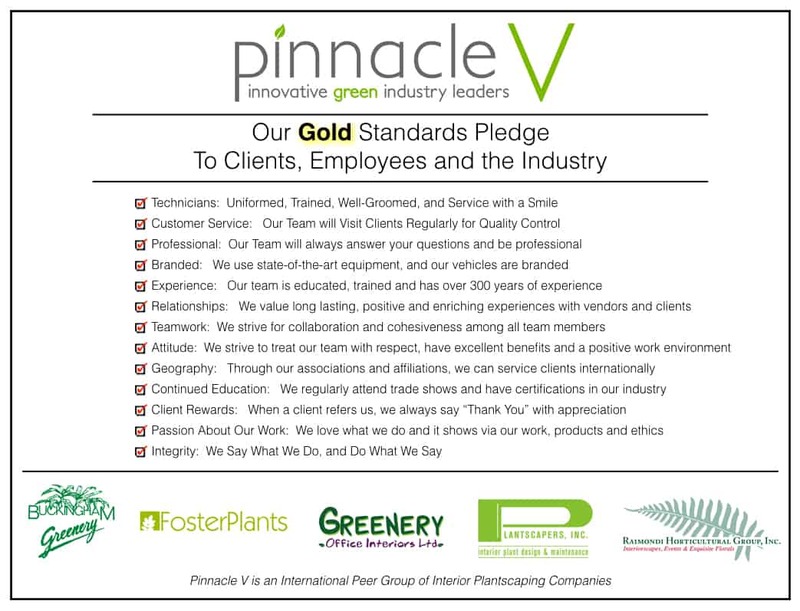 A powerful pledge to clients, employees and the industry to show how deeply committed we are to being unsurpassed in our field. Here is the Gold Standards Pledge you can always count on from us. Customer Service: Our team will visit clients regularly for quality control. Professional: Our team will always answer your questions and be professional. Branded: We use state-of-the-art equipment and our vehicles our branded. 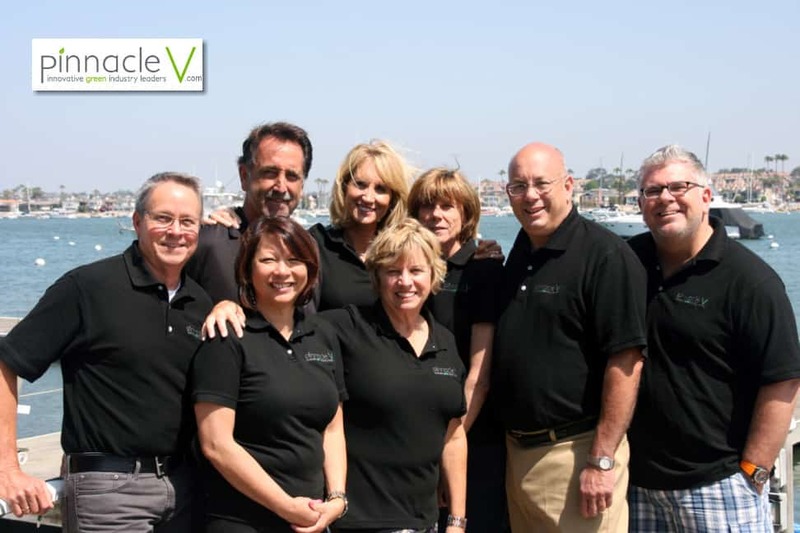 Experience: Our team is educated, trained and has over 300 years experience. 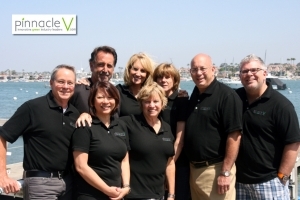 Relationships: We value long-lasting positive and enriching experiences with vendors and clients. Teamwork: We strive for collaboration and cohesiveness among all team members. Attitude: We strive to treat our team with respect, have excellent benefits, and positive work environment. Geography: Through our associations and affiliations we can service clients internationally. Continued Education: We regularly attend trade shows and have certifications in our industry. Client Rewards: When a client refers us, we always say, “Thank You” with appreciation. Passion About Our Work: We love what we do and it shows via our work, products and ethics. Integrity: We say what we do; and do what we say. Each and every day these principles are behind everything we do. We are rooted in our commitment to shed our best light through these gold standards so we can bring you excellence in every step we take. From our values worth their weight in gold, to our plants spreading green for health and beauty, Plantscapers grows integrity into beautiful environments for all to enjoy.